I've tried both on and both are quite nice. I find that the IWC yellow to be quite sporting and adds a little funkiness (in a good way). The breguet on the other hand feels more sophisticated with more details, but the dial maybe a little more cluttered especially with carbon fibre dial. Can't decide, any opinions are welcome please. I'm trying to figure out how to post pictures as I'm new here, if someone can help me out. Please note that these two pictures are not mine and hope it doesn't affect anyone borrowing their pictures. A better choice would be an IWC with their in-house Chrono movement. Hopefully a pilot model. The upcoming 3879 for example. Otherwise the Portuguese line is available with in-house movements. The IWC tends to hold better value for this model since it's becomming harder to find, Breguet wins here with a very fine watch for the money on the preowned market. Looking at the title, I would say Breguet but only if it's the non date non carbon fiber dial version on a strap. That would be my preference as it's closer to the original heritage. If I must choose between these two then that would depend on your lifestyle and if you need something a little more robust. If you intend to do any sort of water sports then the IWC would be my choice. ...in HK's second hand market? I would have imagined the IWC would be a mere fraction of the Breguet. Anyway, FWIW, I'd definitely go for the Breguet. ...because you get a lot of watch for the money with the Breguet. 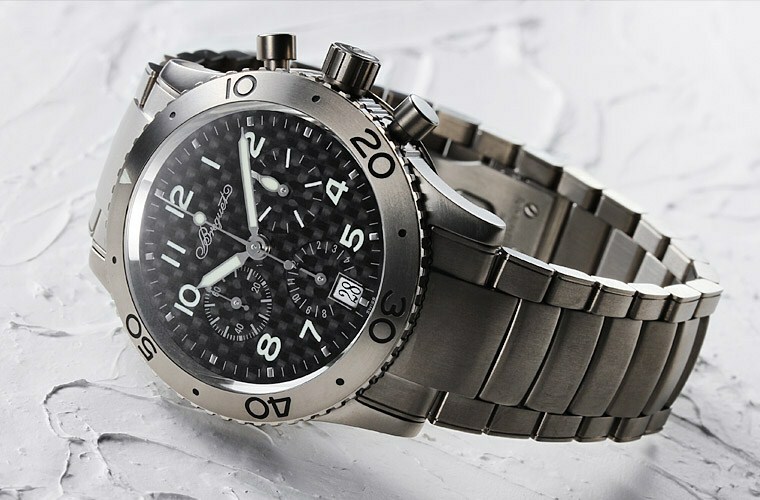 But for me that was the best ever era of the Aquatimer and it is such a cool watch. 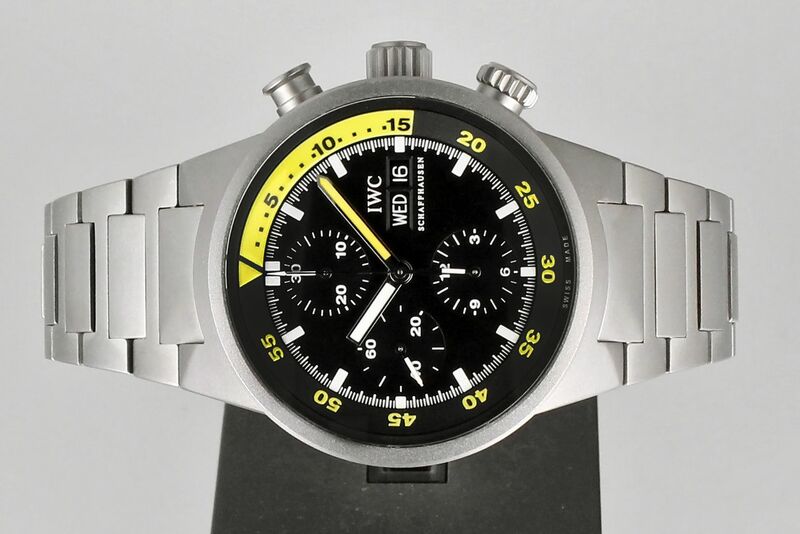 My speculation is worth exactly what you are paying for it, but after some light digging I just get the feeling the IWC will hold its value better as it starts to develop a bit of a following, if retaining monetary value is of any interest to you. It's kind of an unfair comparison in this case, the Breguet you post is over twice the price of the IWC Aquatinmer, isn't it? I have not really been a big fan of the newer Aquatimer models (I adore my 1999 vintage though), but IWC has plenty of awesome stuff to pick from at Breguet prices. I'm going to go for the Breguet, it's one of my favorite.